eTwinning is a network of European Schools that aims to foster a cooperation between educational institutions through information and communication technologies. BRIGHT, based on the trends of modern designs and website usability, has developed an easy-to-use, responsive website about the organization, its news, projects and training. The website has been developed using a world-wide-used content management system WordPress. 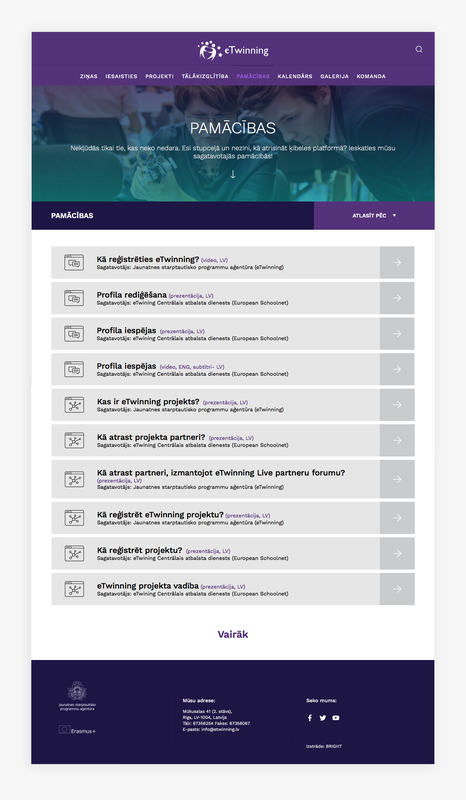 The new page allows users to easily navigate in large volumes of information, apply for eTwinning news, get directions to implement projects, and engage in eTwinning community activities.